I know, I know. Bad pun. But unfortunately it is a fact of life. 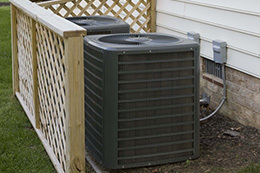 Your air conditioner system could be humming along fine one day then go on the blink the next. It happens time and again. That is when people are calling us in a panic because the temperatures in July are going to be in the 90s. That is why we offer our exclusive VIP Program. For just 12 dollars a month you get two annual maintenance and check-ups to your system. We will find any issues and correct them before the problem becomes larger and you lose your HVAC. It is just one of the ways the family at Air 72 is working to help keep our clients at their optimum comfort level.